1. 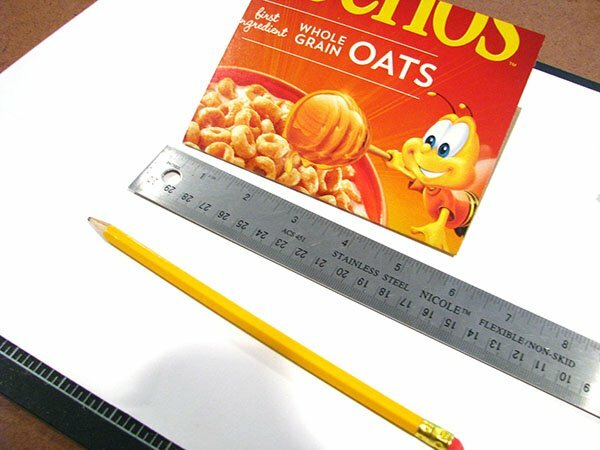 Create the book cover by cutting the cereal box to measure 8 3/4” x 5 5/8”. If you are going to make this with kids, I’d make a template for them to trace around because those measurements are a bit fiddly. 2. 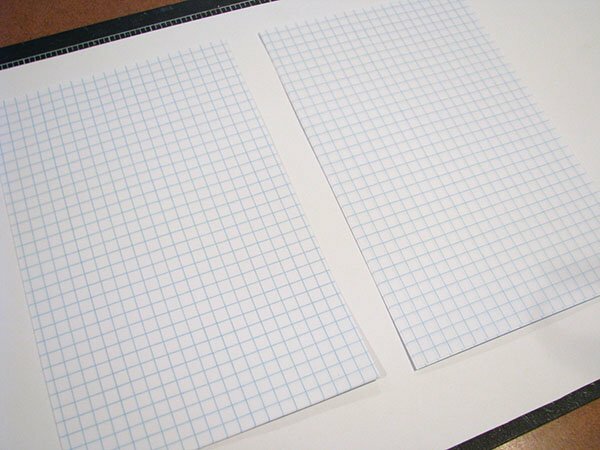 Cut or tear 5 sheets of your chosen paper in half horizontally so they measure 8 ½’ ” x 5 ½”. 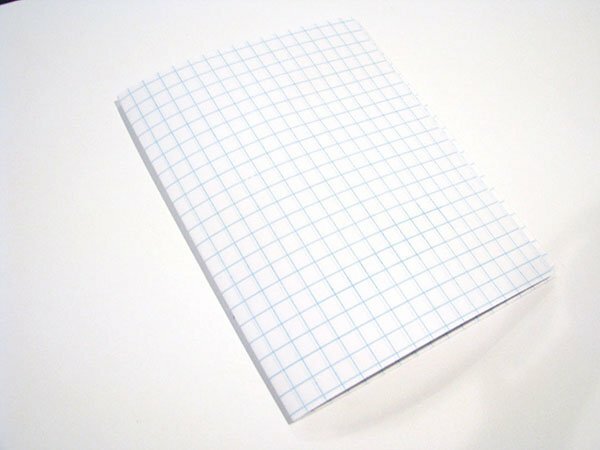 Stack the 10 sheets of paper and fold in half to form one book signature. 3. 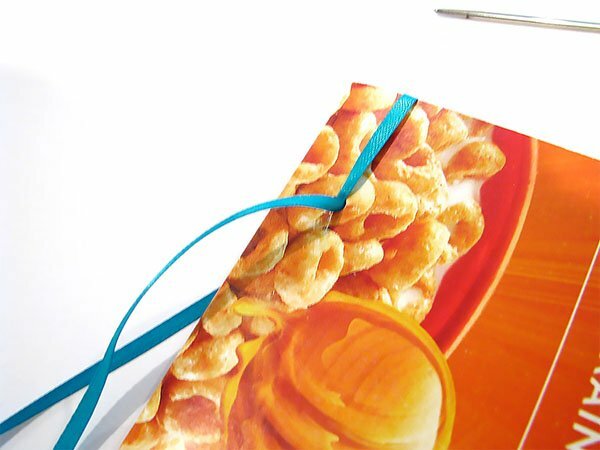 Fold the book cover in half and smooth with a bone folder or the back of your scissors. Measure and mark the sewing holes ½” from the side edge and 1¼” from the top edge. And ½” from the side edge and 1¼” from the bottom edge. 4. 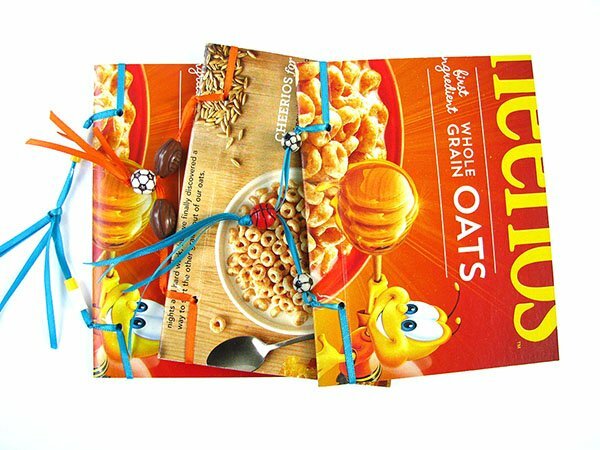 Place the pages inside the cover and using your marks as a guide, punch the sewing holes – the hole size will depend on the width of your ribbon. 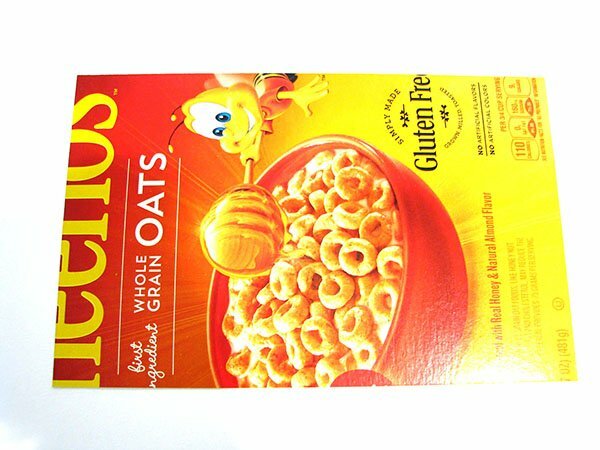 In this example the hole and ribbon are 1/8” wide. 5. 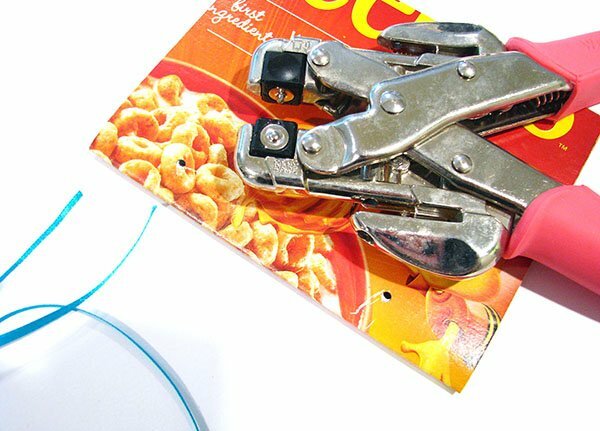 Thread the needle with the first piece of ribbon. Enter the first sewing hole from back to front. Pull the ribbon so half is left behind as a tail. 6. 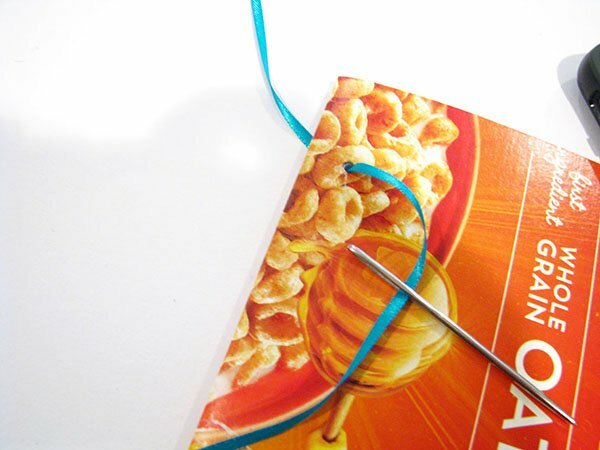 Wrap the ribbon around the top of the book and come back through the first sewing hole from back to front. 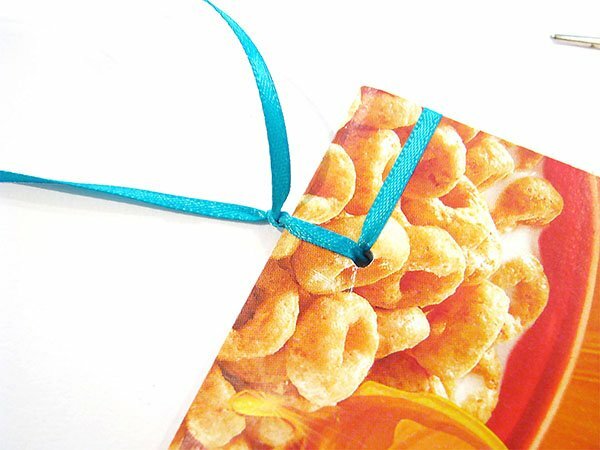 Try not to twist the ribbon as you sew. 7. 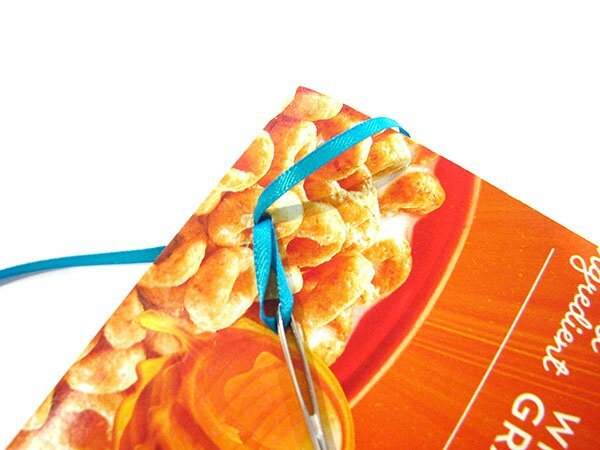 Remove the needle and tie the two ribbons into a double knot at the edge of the book. 8. Repeat with the second piece of ribbon at the bottom of the book. 9. 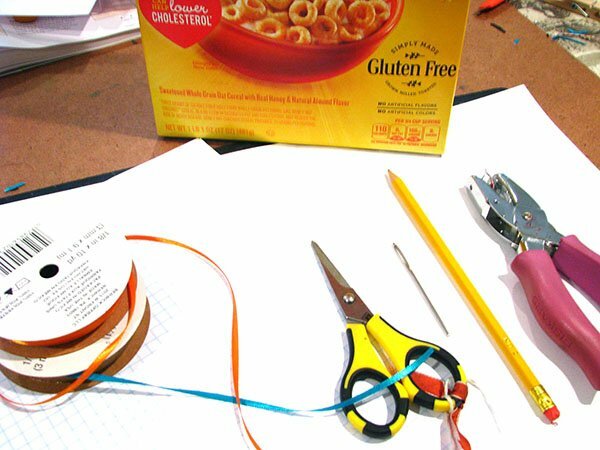 Thread beads through the two sets of ribbons. 10. 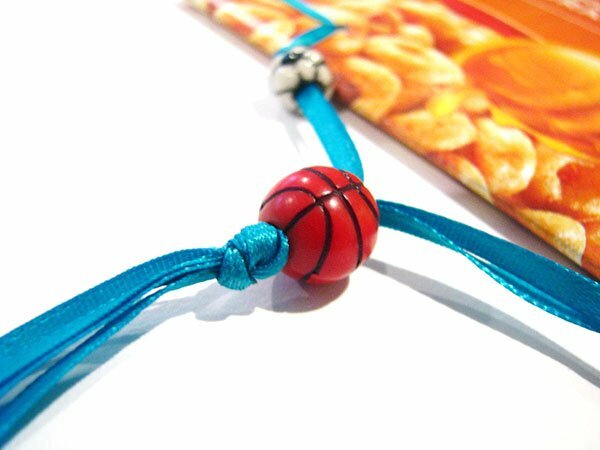 Thread all 4 ribbons through a third bead and tie in a knot so the bead doesn’t come loose. 11. 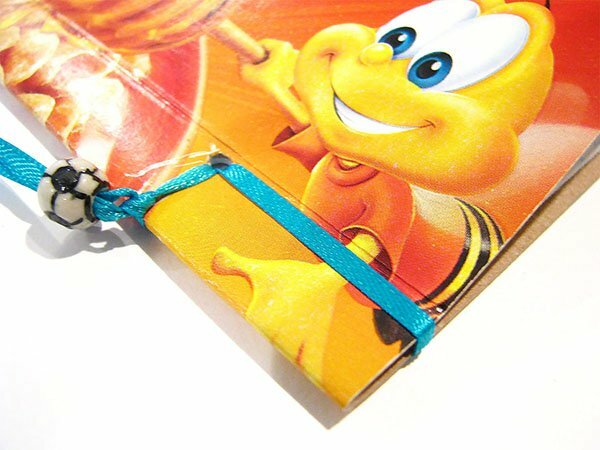 If you wish, you can score a vertical line on the cover next to the ribbons to make the book easier to open. 12. 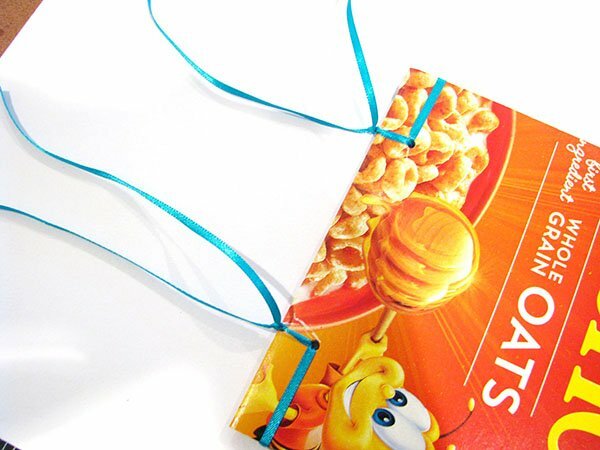 Make several of these cute books to put inside your kids’ backpacks on the first day of school. If you don’t want to miss any more tutorials or projects, please sign up for my newsletter. Brilliant! 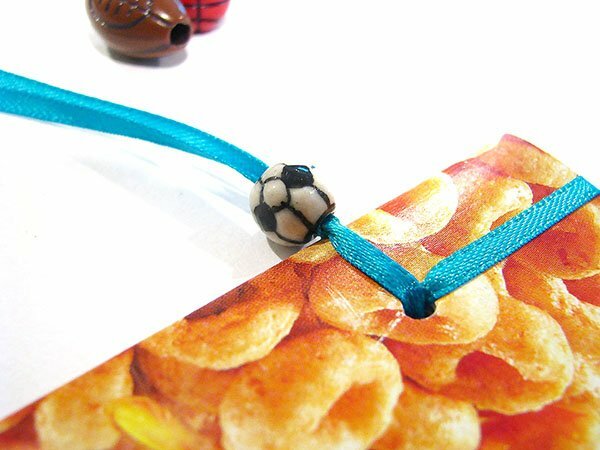 Love the binding and the simplicity of the whole thing. Great job! I look forward to sharing this with a few friends with school age kids. 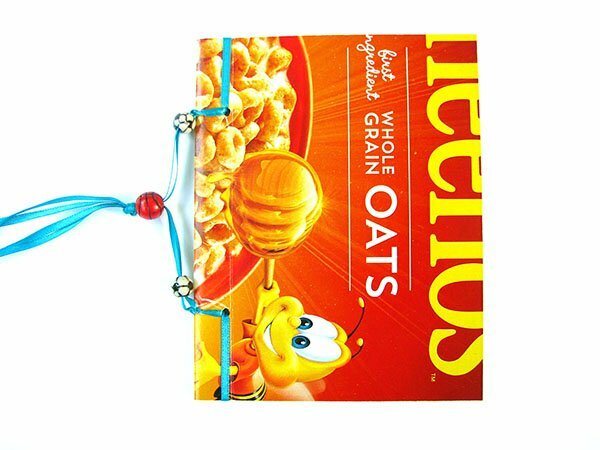 Hi, I love the look of these and will try making them with my Girl Scouts. Will let you know how we get on with them.